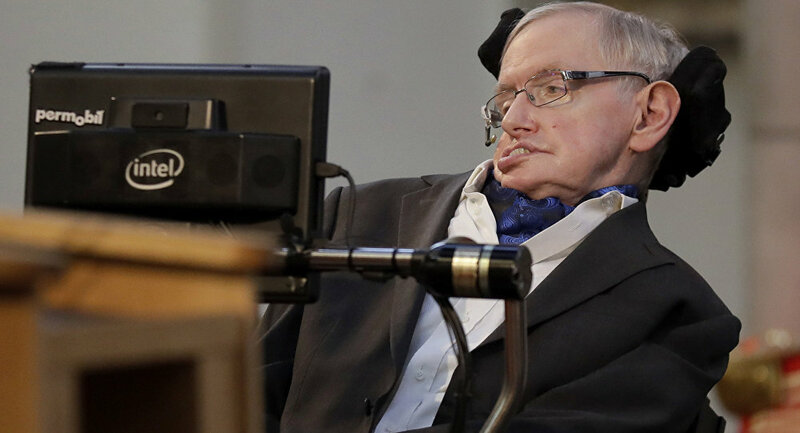 The ashes of world-renowned physicist Stephen Hawking will be interred next to the graves of fellow British scientists Sir Isaac Newton and Charles Darwin at Westminster Abbey in London, England. In a statement released Tuesday, Dean of Westminster John Hall, wrote, "It is entirely fitting that the remains of Professor Stephen Hawking are to be buried in the Abbey, near those of distinguished fellow scientists. Sir Isaac Newton was buried in the Abbey in 1727. Charles Darwin was buried beside Isaac Newton in 1882." "Other famous scientists are buried or memorialised nearby, the most recent burials being those of atomic physicists Ernest Rutherford in 1937 and Joseph John Thomson in 1940. We believe it to be vital that science and religion work together to seek to answer the great questions of the mystery of life and of the universe," he added. On Tuesday, Westminster Abbey also announced that there will be a "Service of Thanksgiving" later in the year to honor Hawking, who died last week at the age of 76. "We are deeply saddened that our beloved father passed away today," the scientist's family wrote in a statement released recently. Hawking was a British theoretical physicist, cosmologist, author and director of research at the Center for Theoretical Cosmology within the University of Cambridge. He was the first scientist to set out a theory of cosmology explained by a union of the general theory of relativity and quantum mechanics. He also had a form of amyotrophic lateral sclerosis (ALS) that gradually paralysed him. Hawking surprised many doctors, as he lived for 55 years following his diagnosis, thogh the disease usually leads to death within years. Despite his paralysis, he continued to speak before wide audiences in a wheelchair using his trademark voice synthesizer.